Lahiri writes with deft cultural insight reminiscent of Anita Desai and a nuanced depth that recalls Mavis Gallant. 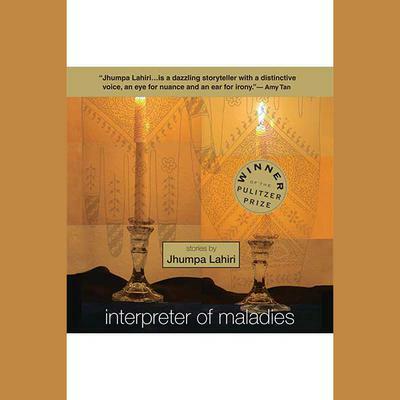 This, her Pulitzer Prize-winning collection of short stories, features characters navigating between the Indian traditions they’ve inherited and the baffling new world, the characters in Jhumpa Lahiri’s elegant, touching stories seek love beyond the barriers of cultures and generations. In “A Temporary Matter,” published in The New Yorker, a young Indian-American couple faces the heartbreak of a stillborn birth, while their Boston neighborhood copes with a nightly blackout. In the title story, an interpreter guides an American family through the India of their ancestors and hears an astonishing confession. Jhumpa Lahiri was born in London and raised in Rhode Island. She is the recipient of a Guggenheim Fellowship, and author of two previous books. Her debut collection of stories, Interpreter of Maladies, was awarded the Pulitzer Prize, the PEN/Hemingway Award and The New Yorker Debut of the Year. Her novel The Namesake was a New York Times Notable Book, a Los Angeles Times Book Prize finalist and was selected as one of the best books of the year by USA Today and Entertainment Weekly, among other publications.